Currently a faculty member at Oberlin College & Conservatory, and at the Cleveland Institute of Music Preparatory Program, Tracy also serves on the Board of Directors for the International Society of Bassists. She regularly teaches at summer programs such as Bass Works Maryland (Peabody Bass Works), Rochester Bass Retreat, Kansas City Bass Workshop, the Milt Hinton Institute, Oberlin Bass Workshop, and was a faculty member at George Vance’s Summer Bass Workshops. 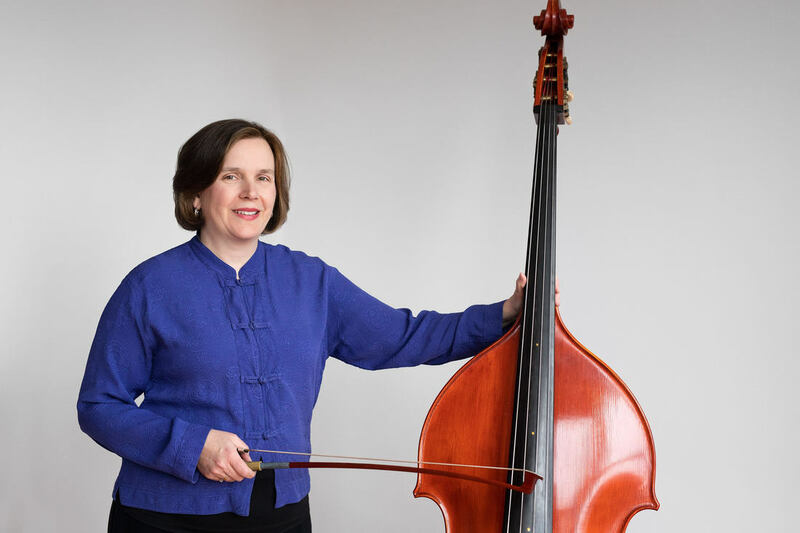 She regularly presents lectures and masterclasses for organizations such as the Ohio Music Educators’ Association, the Texas Music Educators’ Association, the International Society of Bassists, and the Suzuki Association of the Americas. Formerly the Assistant Principal Bass of Canada’s National Arts Centre Orchestra, Tracy is an active performer in the Northeast Ohio on modern and historical double bass. She may be heard recorded as a soloist with Apollo’s Fire, Cleveland’s Baroque Orchestra, in their recording of Telemann’s Grillen Symphonie (“Don Quixote” album). Tracy received her BMus from Rice University, where she studied under Paul Ellison; and she earned her Masters Degree at Boston University, studying with Edwin Barker.